754 Virginia Pine Lane #15, Lake Wylie, SC 29710 (#3412097) :: Robert Greene Real Estate, Inc.
Immaculate home, spacious open plan, wood floors, gas fireplace, cathedral/trey ceilings, fresh paint and lots of natural light throughout. Home has been meticulously cared for. Backyard offers the perfect backdrop for entertaining family and friends, true sense of privacy, lots of trees, stone wall for additional seating, nice in ground pool, fire pit and covered patio. 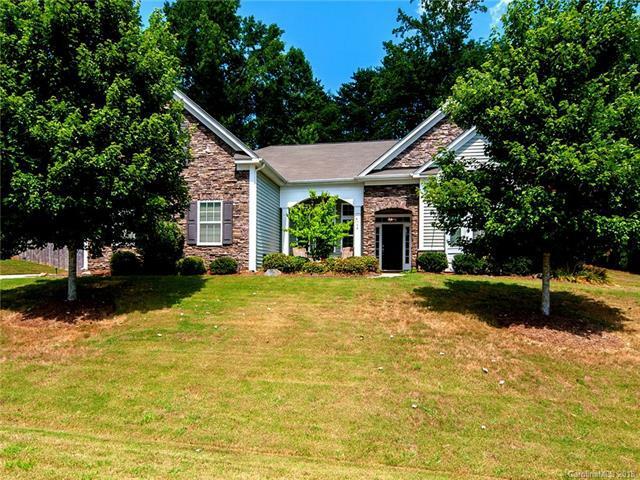 Spacious master bedroom with separate tub/shower, generous walk in closet, secondary bedrooms are also spacious, large upstairs bonus/playroom, separate private office off the foyer. Welcome Home!